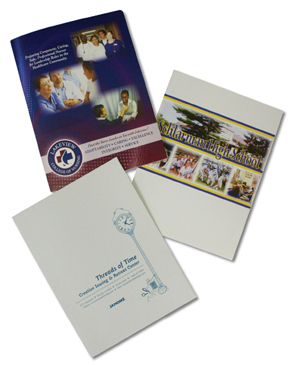 Select our presentation folders which can be customized to include your logo, text or photos. You have many choices for your folder design including size of folder, type of paper, number of pockets, and die cut slits for business cards or media. Top off your promotional package with a custom folder from Faulstich Printing.